More about Aarikka Keto Necklace Carry a little luster with you wherever you go. 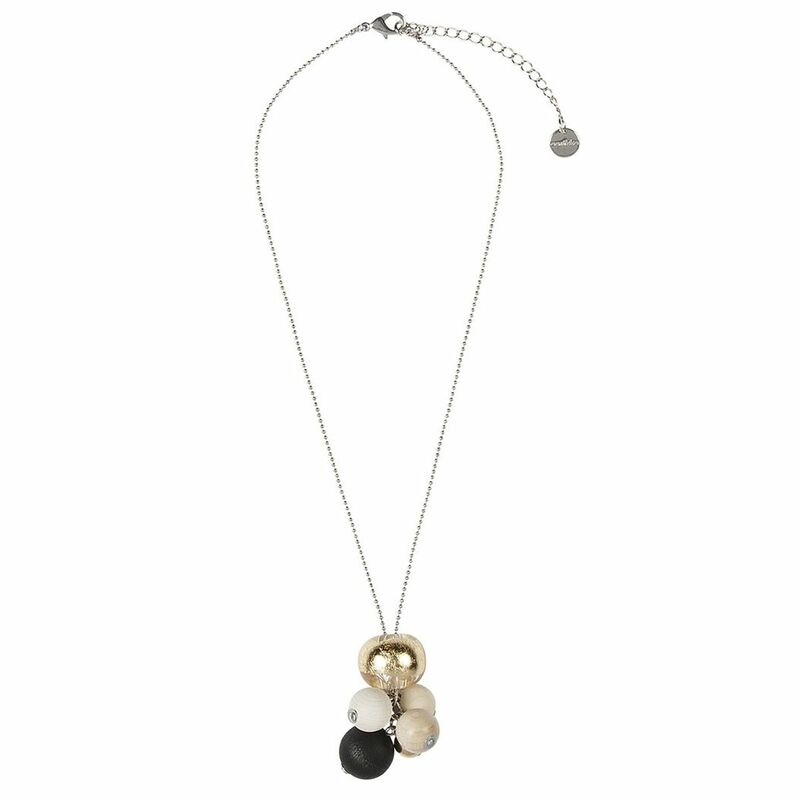 A gold-foiled clear acrylic bead with catch eyes this season, but the supporting white, black, and natural accents balance the piece in natural harmony. Strung from a nickel-free, silver toned chain, the accessory be adjusted to hit just where you like with whatever neckline you are wearing. Packaged in a box, this sparking statement piece also makes a lovely gift for a loved on this holiday.